Tuesday was devoted again to Tuscany, with a particular focus on Sienese dessert and seasonal bread. 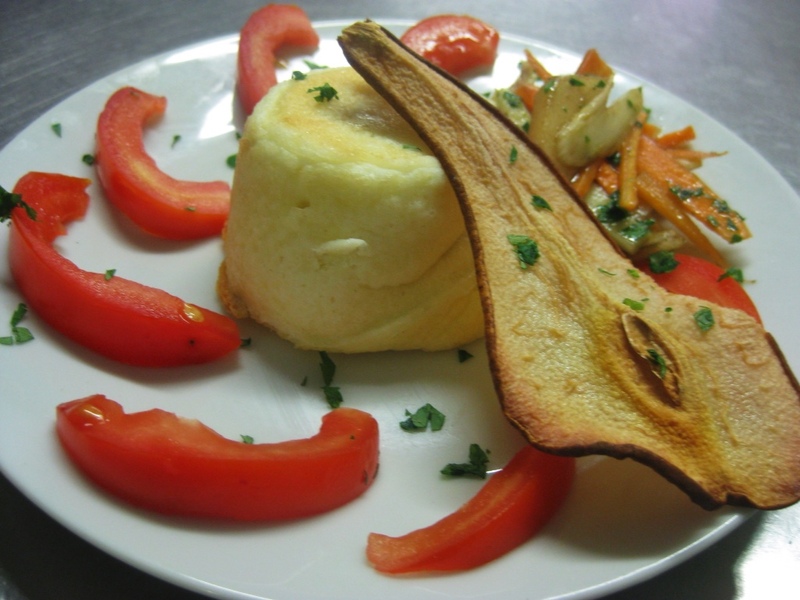 We started with a complicated cheese souffle for the antipasti – torino caldo con cuore fondente di pecorino – it is hard to imagine anyone eating this delicate and messy dish with their hands at a cocktail party! Pecorino is the local sheep or goat milk cheese that is common in many regional dishes and it figured prominently in this one. We made a crust of egg whites, pecorino, flour, and butter and put a filling of butter, cream, and pecorino in the center – lots and lots of cream and cheese! 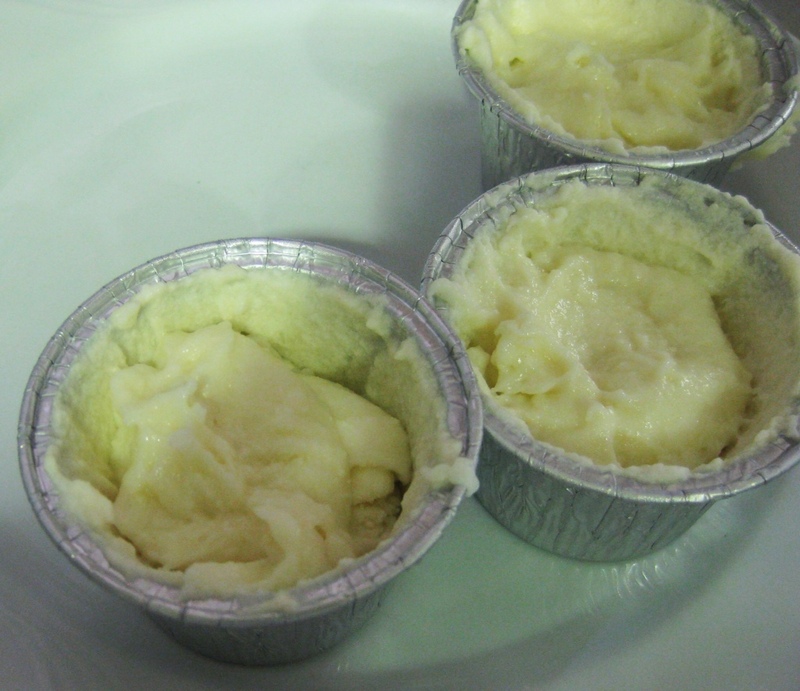 We served it with crisp, baked pear slices that were a good vehicle for scooping up the oozing cheese. While rich and very good, I'm not sure this is a dish worth the monumental effort of attempting at home. The pallid hue also made me long for the contrast and color of many of our other recipes, particularly those that include vegetables. 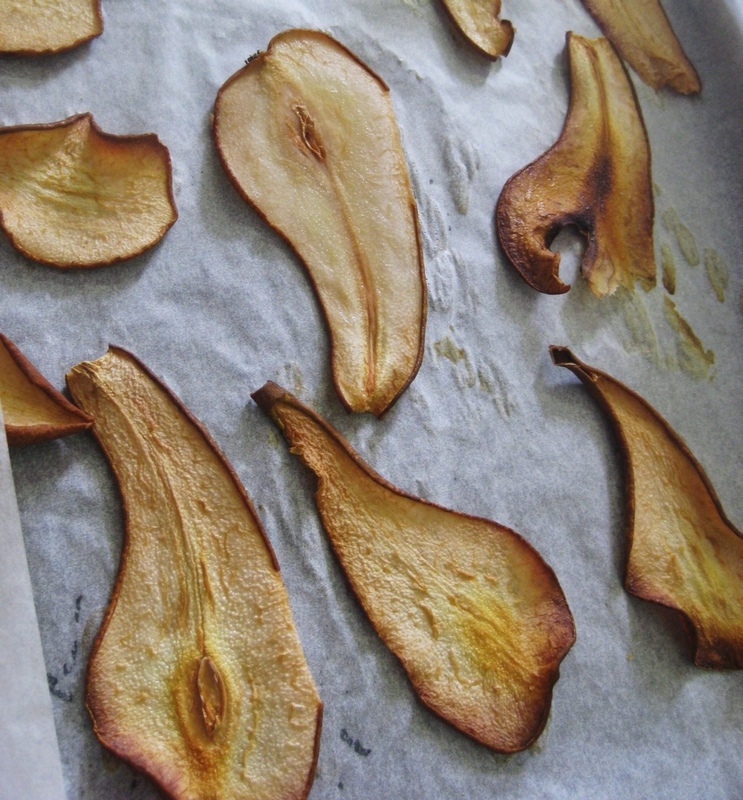 Fancy baked pears as garnish - definitely a good dinner party trick! 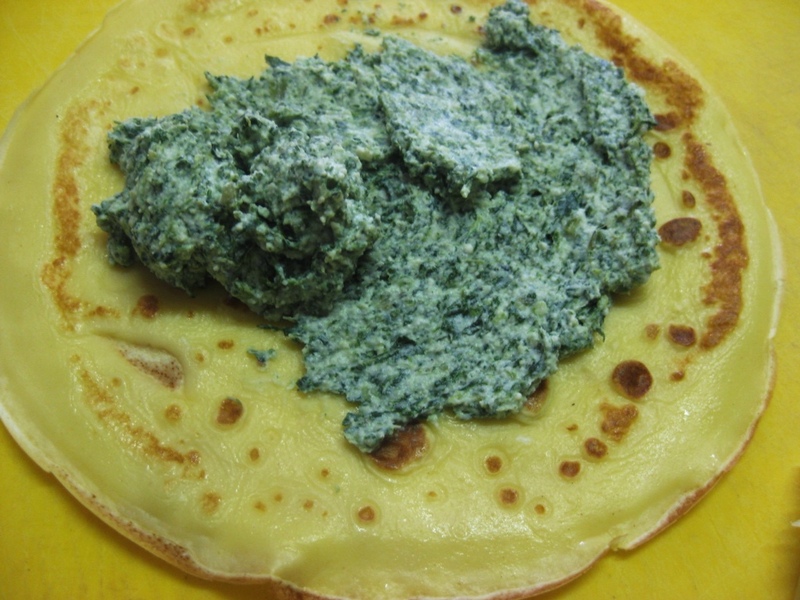 The primi piatti was a crespelle alla fiorentina, or a crepe filled with a spinach and ricotta mix, topped with béchamel and parmesan and baked. 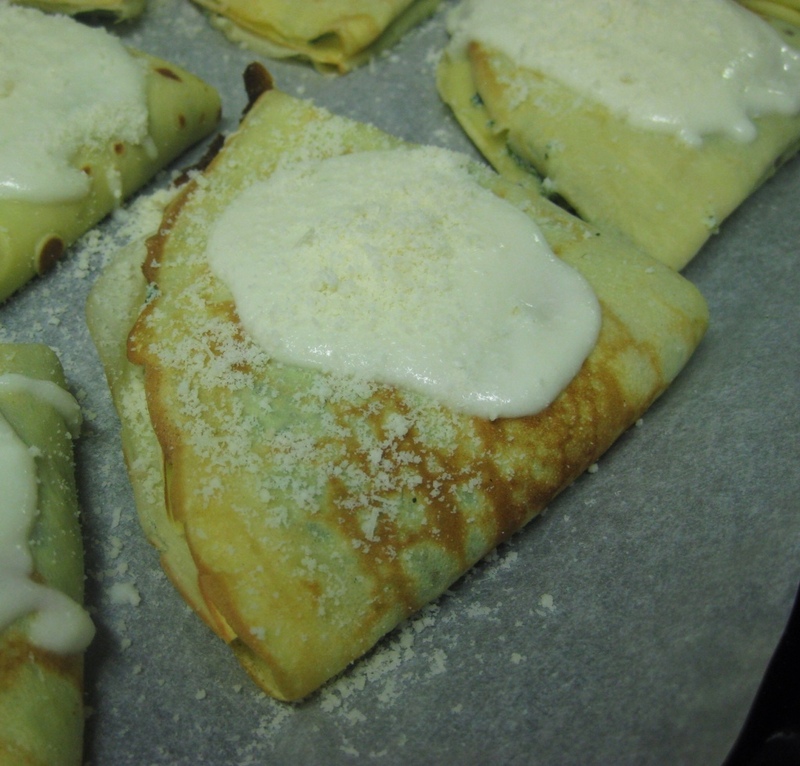 Learning to make crepes was fun and challenging – rather than using tongs to flip over the crepes (as I had in one of my cooking classes in LA), we used a toothpick to lift up the edges and were expected to flip them with our hands. Let's just say there were many attempts and some slightly burned fingertips at the end of it. At one point Fernando told me “It's supposed to be delicate, not an omelette.” I'd like to think my later crepes were more graceful than my initial ones but I'm not sure he'd agree. 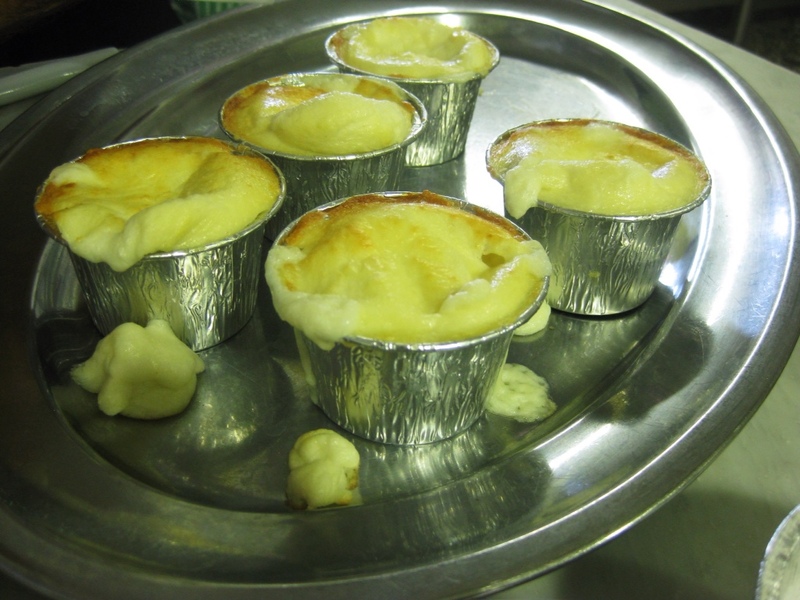 The dish was good but a bit heavy coming after the cream soufflé – luckily, it made for good leftovers that night. 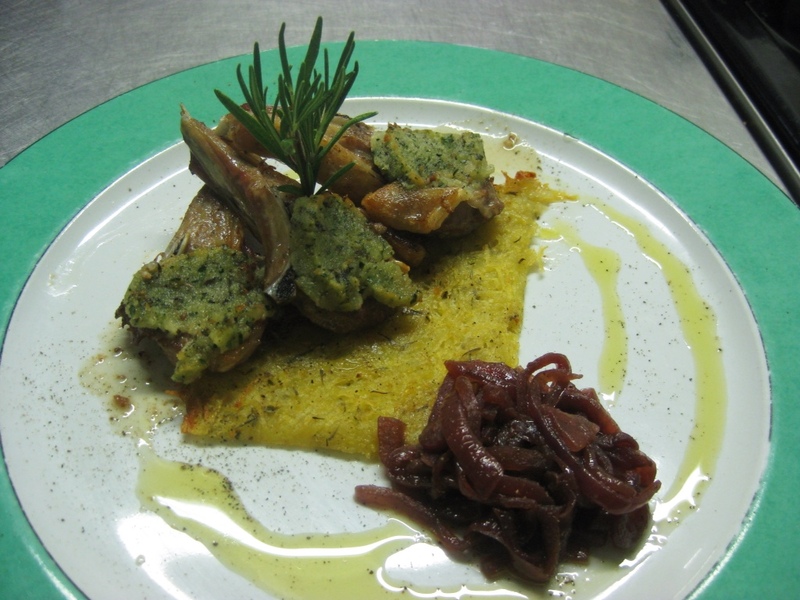 The secondo was agnello in crosta di pane or lamb chops in a bread crust. 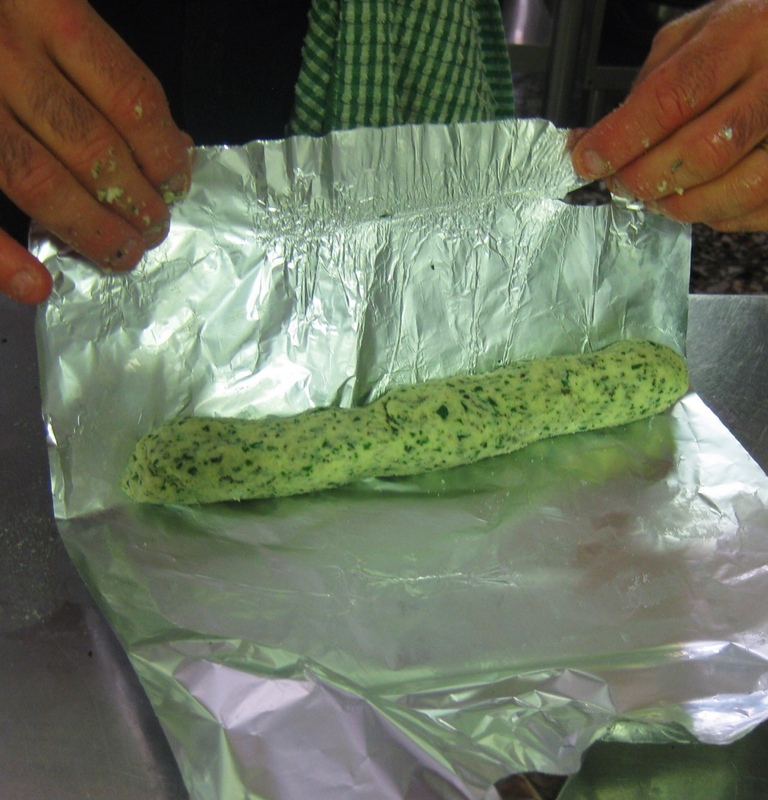 We made the crust with breadcrumbs, herbs, and butter and rolled the mixture into a log that we refrigerated and then later sliced onto each chop. 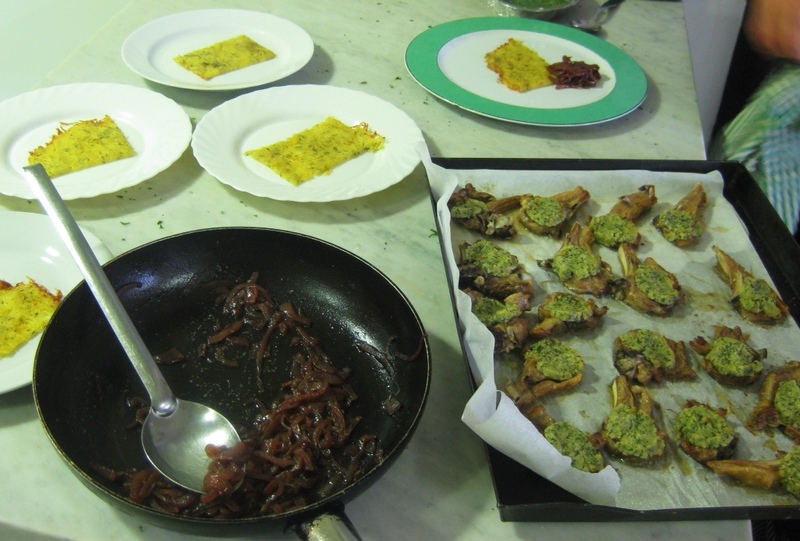 We sautéed the lamb chops first and then cooked them in the oven, a double cooking that we seem to do often in the class but which I hadn't encountered much before. I think it's mostly because we are cooking so many dishes that most of them have to be heated again before serving. Our contorno on the side was a dish that reminded me of hash browns — shredded potatoes pressed together with oil and thyme and baked. Let me tell you, shredding all those potatoes by hand with a pseudo-mandolin will build up your arm muscles! 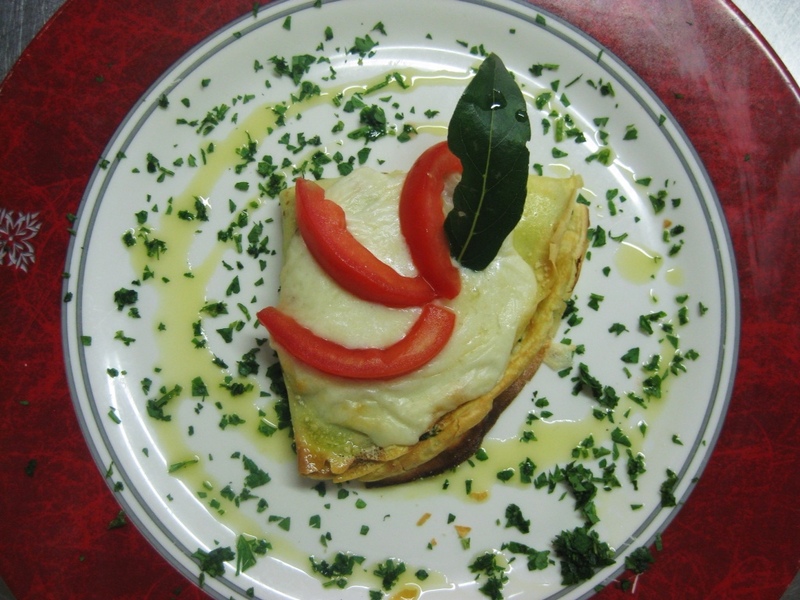 The dolce featured strongly in the meal. 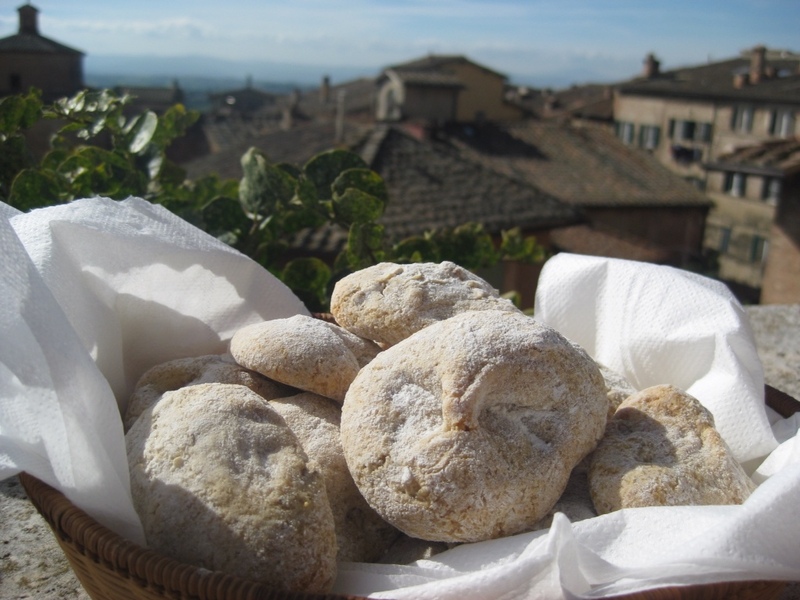 The first was cavallucci di Siena, a local cookie made with a plethora of flavors: anise seed, honey, candied orange, and walnuts, in addition to the usual suspects of butter, sugar, and milk. 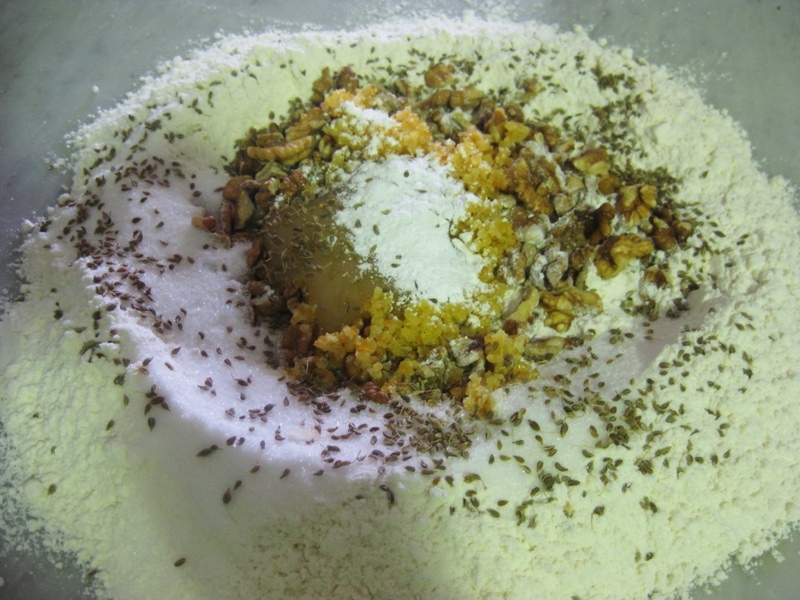 When I took a bite of the final product, I was surprised to realize that I couldn't swallow it — in addition to being hard and dry, the flavors were all competing with each other and the anise (which I usually like) was winning a messy victory. Everyone quietly brushed their cookie off the table, exchanging quick glances and silently assuming that Siena just must not have the best desserts. It was only the next day that the teacher told us the cookies had been terrible and that we were remaking them (upshot – the remade cookies were very good and totally different from the first batch, but I don't think they are going to be a staple in my household). 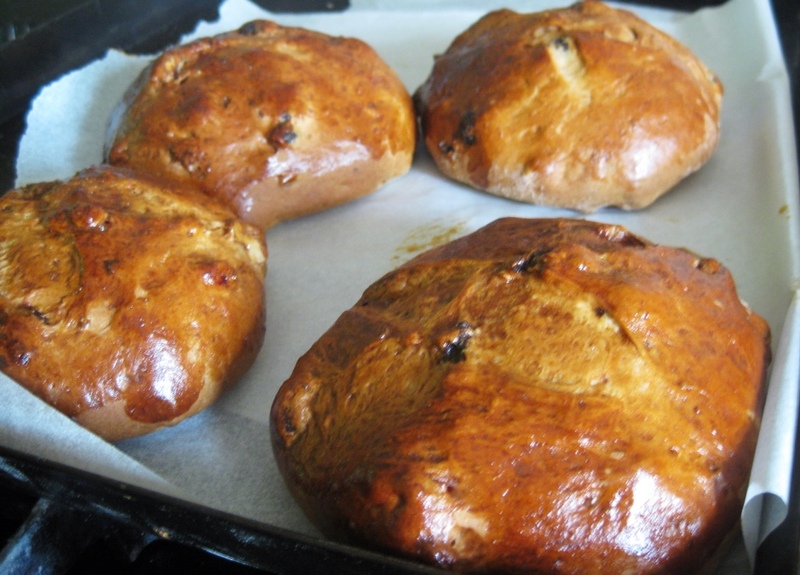 We also made a pan co' santi or a saints bread that is made exclusively in October and November. 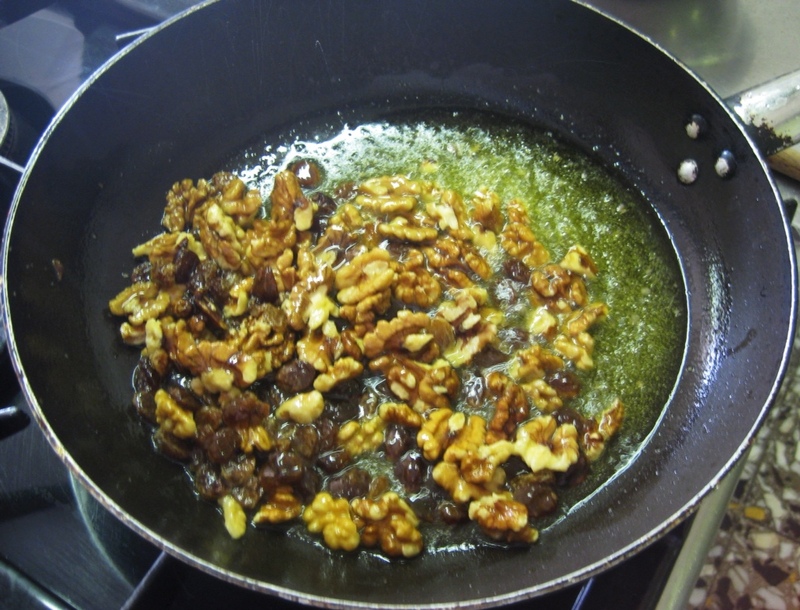 Somewhat resembling a less dense Christmas cake, the bread included sautéed walnuts and wine-soaked raisins as well as copious amounts of black pepper. Our rolls turned out hard, dense, and crunchy and I actually thought they were pretty good, but the next day we also found out they had apparently been terrible as well and we remade them (actually, while the repeat bread was lighter, I kind of preferred the crunch of the first one – I guess I must not have the most refined palate). 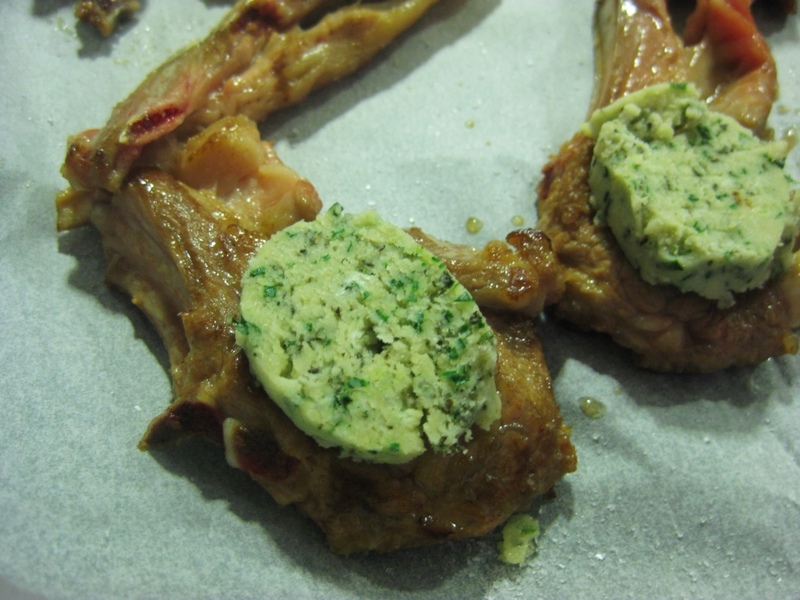 It was an odd day of cooking, with a number of heavy, cream based dishes that are not what I typically associate with Tuscany and a few failed bread and dolce attempts, but I think the mistakes can be even more interesting that the runaway hits.